Land Rover Discovery Tuning: VIP Design Land Rover Discovery LR400X; The Land Rover Discovery but a little bit more special! 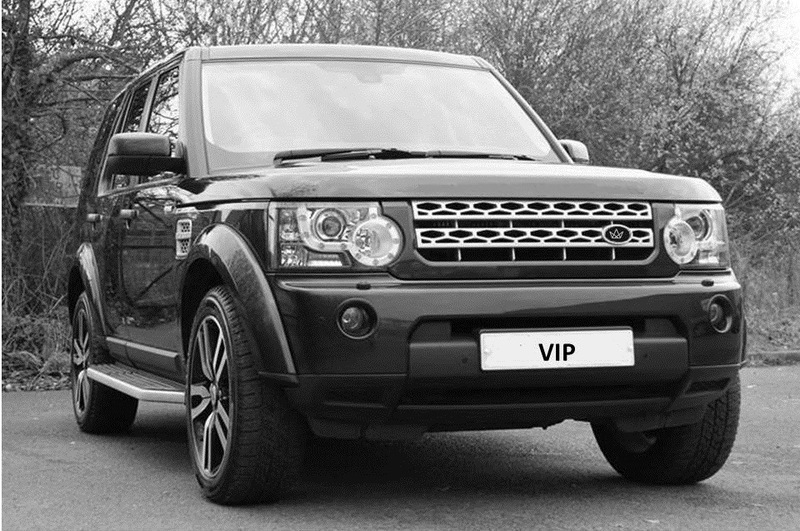 Sleek, eye-catching styling with upgraded power and performance provided by VIP Design London. 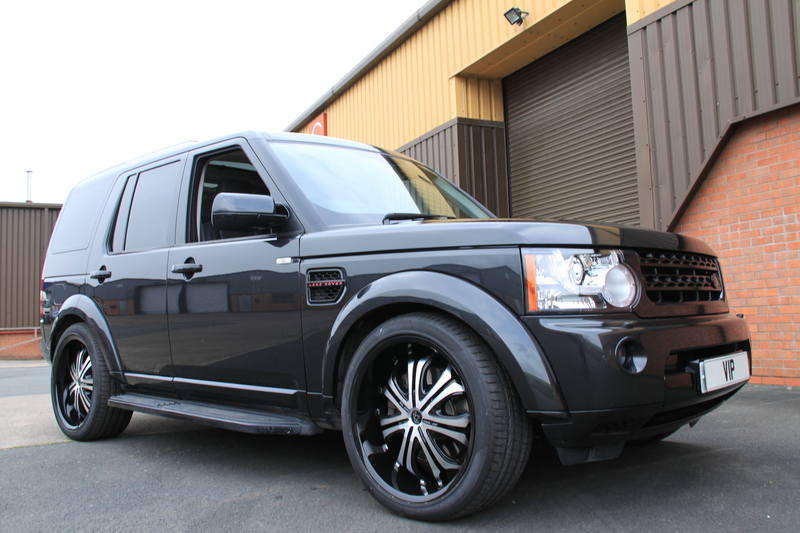 Custom 22” x 9.5” gloss black and machine face 7 spoke alloys wheels, while the electronically controlled air suspension lowered by 40mm to tighten up the handling. Body colour coding across the front grill, side step, door handles, side vents and mirror casings sets this beauty apart from anything you could buy off the forecourt. Uprated Torque and BHP via ECU remapping upgrades the Land Rover Discovery’s power to a respectable 340Bhp and increases the torque from a sluggish 600nm to a staggering 750nm. As at home in city streets as it is on country lanes, looking just as good in town as it does towing a horse-box, The VIP Design Land Rover Discovery LR400X is nothing if not a head-turner. It’s a sleek, stylish, mean-machine with the power and torque to leave the Chelsea tractor crew behind. Admiring gazes will follow you wherever you go, and its power delivery will leave you struggling to take that smile off your face. Whether your Land Rover Discovery is an urban tank or used for powering along those country lanes, the style and comfort of this dream ride will make you feel like you’re in a cocoon of luxury. Contact us now to find out how you can style your Land Rover Discovery to make it that little bit more special! Call us on 01789 774444, email info@vip-design.london or visit https://www.vip-design.london.